Has it been nearly three months since Christmas already? Yes, it sure has. This beautiful 11 week old girl in her cot next to me - she is beating up her mobile whilst stretching her legs as far up into the air above her tiny tummy as possible whilst I'm typing this - makes sure I remember Christmas and the time since very well. Baby E let us enjoy a quiet Christmas Eve and a delicious lunch with my family the following day but she certainly kept mum and dad very busy between the late hours of Christmas Day and her afternoon arrival on Boxing Day - her estimated due date. Best Christmas gift ever! Obviously we've been kept busy since, not that we mind too much. We're grateful and overjoyed to see her grow and learn, we're basking in her smiles and laughter. As I said, best Christmas gift ever! I haven't sewn a stitch but I did get some wonderful stitchy presents. 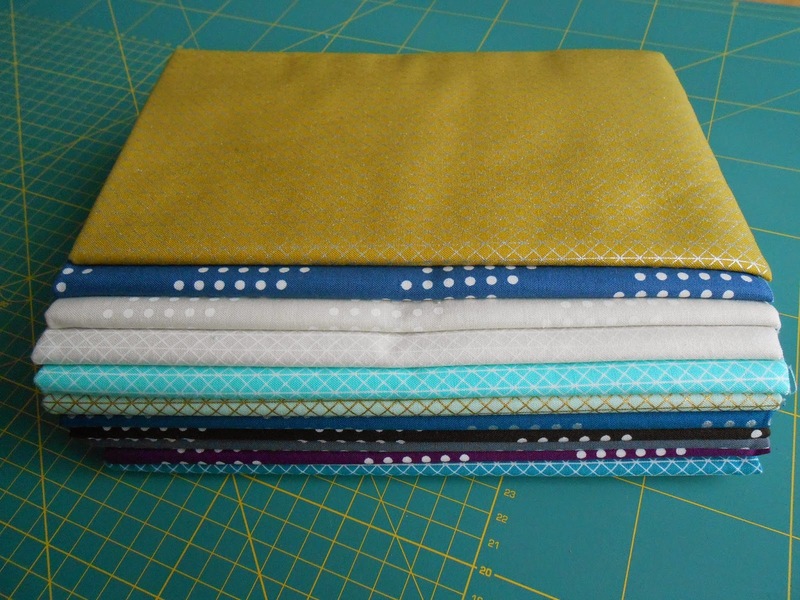 Up first, Oakshott fabrics - a Freesia fat eights pack and half a metre in Thistle. Not exactly a gift but I'd been intrigued to give them a try for ages and the last days of my pregnancy did wear my nerves a bit thin so I treated myself. The colours are gorgeous and I fear the picture doesn't do them justice. I hope to turn them into a cushion or two. 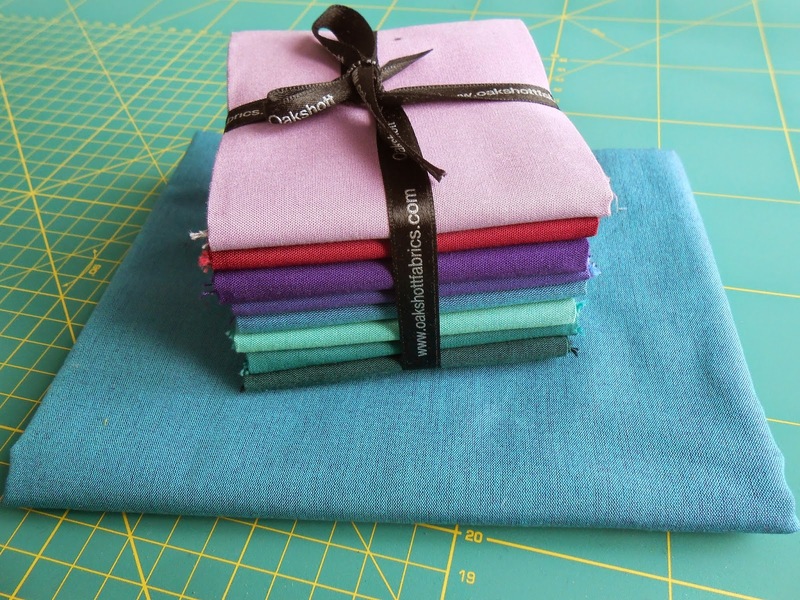 Up next a proper Christmas present, a Cotton & Steele bundle of yard and half yard cuts. Preeetty. No set plan yet but it'll be something special, I'm sure. 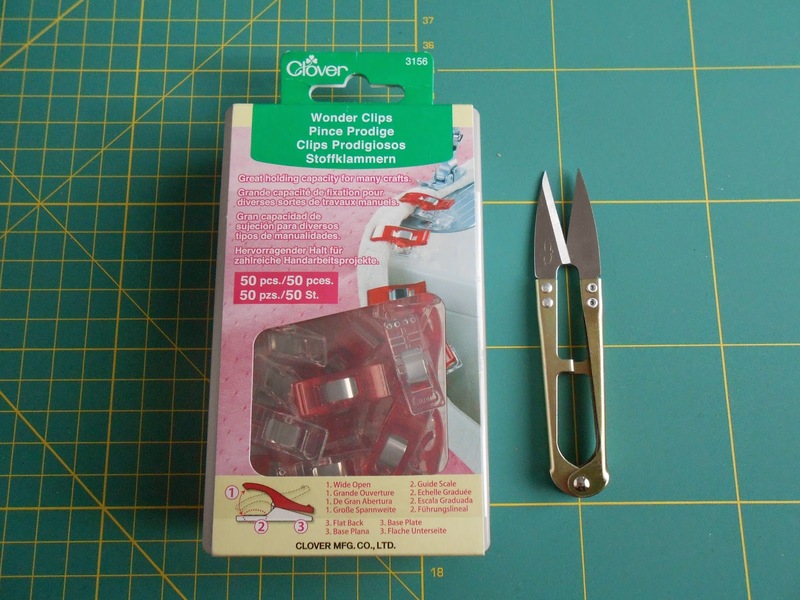 Last but not least, several wonderful helpers to make my sewing life easier. 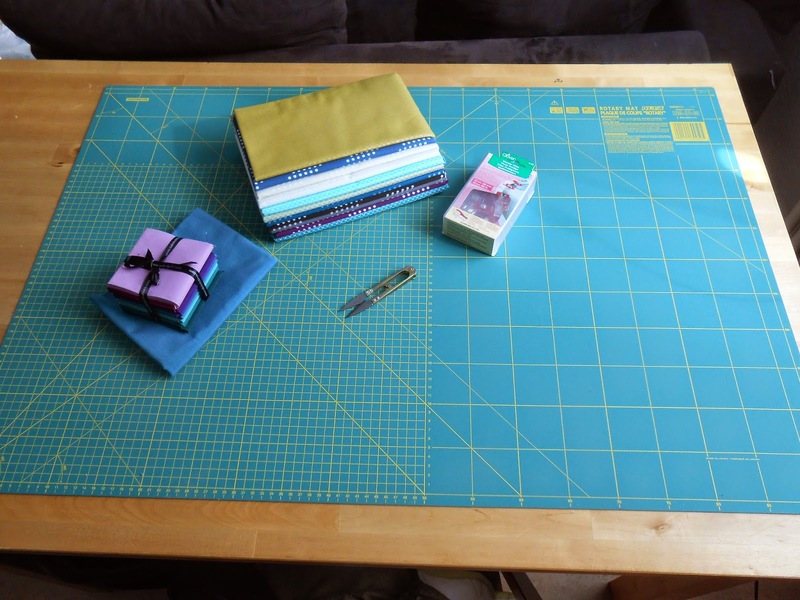 Some snips, Wonder Clips and a new, bigger cutting mat. The old one is only 60 cm x 45 cm whilst this one nearly covers the whole table at 90 cm x 60 cm. So nice.